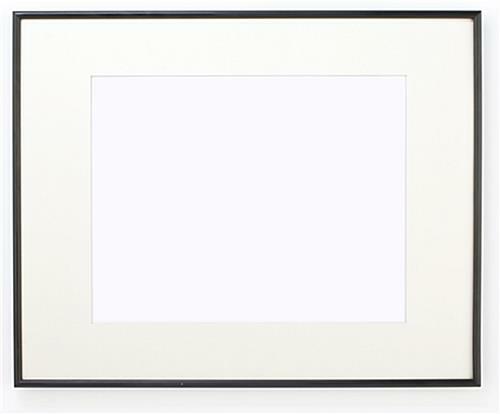 These Picture Frames are Large 16" by 20" Photo Frames! 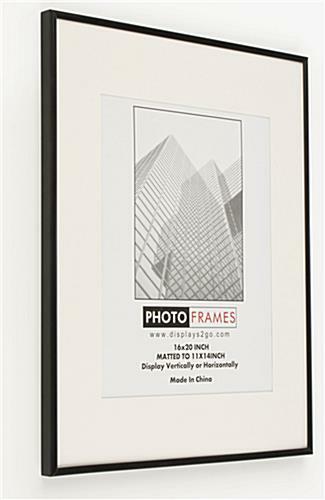 These Picture Frames are Just Part of a Massive Selection Ready Made Wholesale Poster Frames! Order Wood, Metal and Even Digital Frames Online! 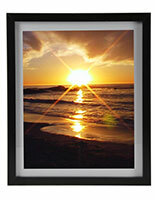 Hangers provide portrait or landscape wall mounting capabilities. 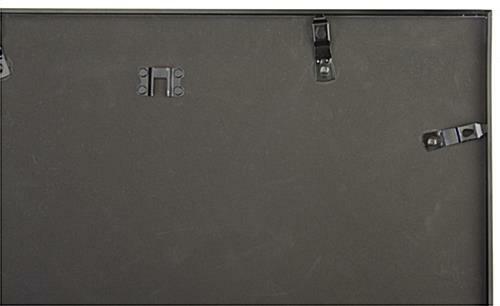 Removable mat creates an 11" x 14" visible area for 16-1/4" x 20-1/4" prints. 3/8" wide profile offers a contemporary style. Aluminum construction is lightweight, stylish and affordable. These picture frames come with flexible plastic lenses that each create a non-reflective layer of protection for posters. 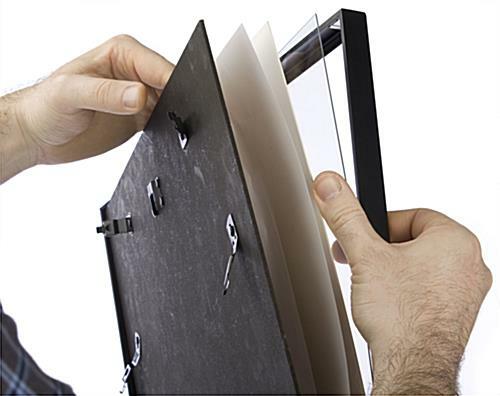 These photo holders have rigid backer boards that secure the lens, mat, and print within the 16" x 20" picture frames. There are two hangers on the backer board, which allow it mount to a wall in either portrait or landscape orientation. 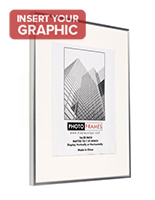 The lightweight aluminum construction makes mounting these poster frames a one-person task. 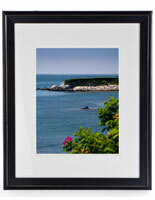 Unlike more decorative photo frames, these units allow the viewer's full attention to focus on the graphics. 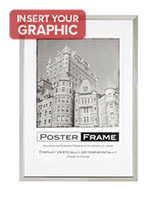 In addition, these print or poster frames are much more economical than a custom unit, or items made of wood. 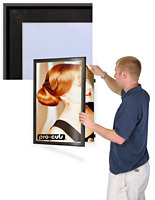 While these displays are more affordable and weigh less than wood frames, they do not sacrifice durability. The aluminum fabrication will for years. The combination of durability, affordability and contemporary styling make this print frame a great bargain! 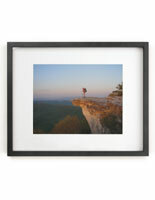 These picture frames are perfect for displaying a wide range of prints! Retailers promote upcoming sales in these poster holders. 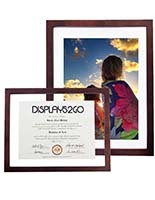 Households often share a family or wedding photo using these 16" x 20" picture frames. Offices use these displays to hang motivational posters and bulletins, as well. Why are these picture frames great for such a large array of applications? The reason is that merchandise has a stylish design that coordinates seamlessly with just about any modern décor. 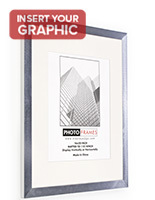 The poster holders, picture frames feature aluminum molding that is 3/8" wide. The removable accent mat, which is supplied with each unit, augments images by creating a white border. 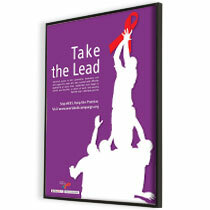 A poster will have an 11" x 14" viewable area when displayed in these 16" x 20" picture frames with the mat in place. 16.8" x 20.8" x 0.875"